My newest still life. I was inspired by the light and the reflections in the glass. 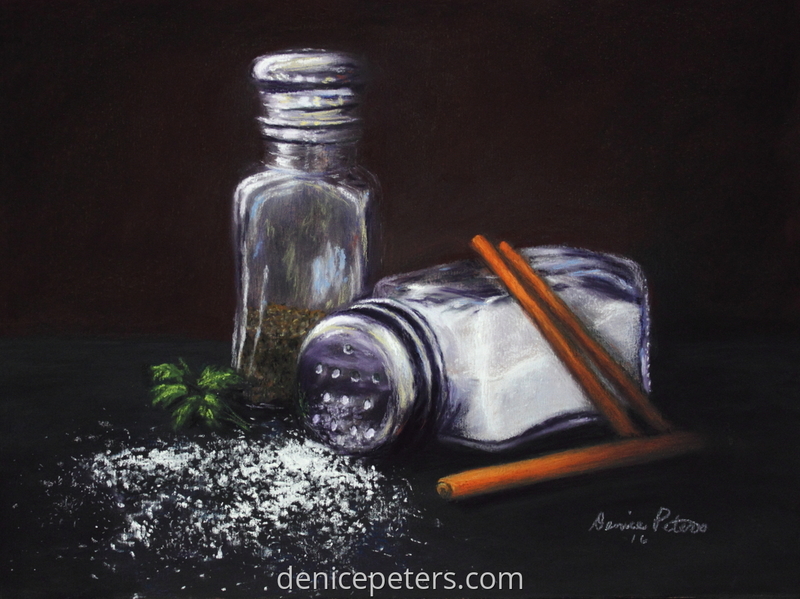 Salt and pepper are the spice of life and most common of spices, then I added the sprig of herbs and the cinnamon sticks to show other spices and other forms and to complete the composition.